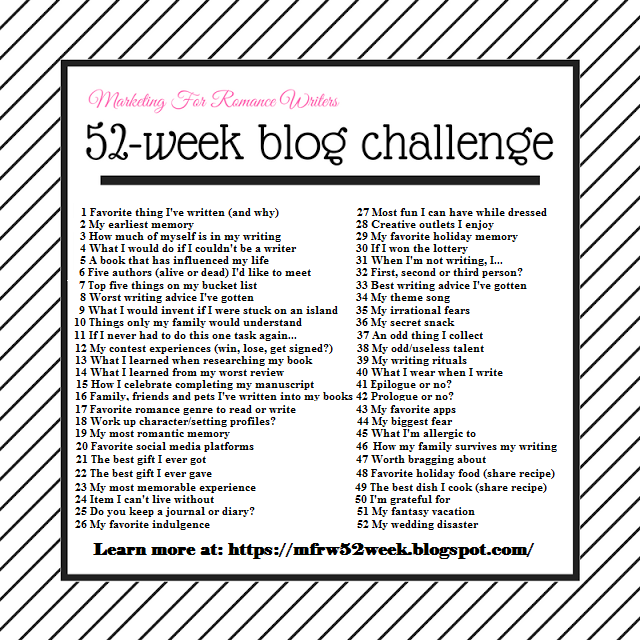 This week’s writing prompt is, Top five things on my bucket list. I don’t really have a “bucket list,” partly because I don’t want to consider my own mortality, and partly because I’m sure that I’ll eventually get to do every amazing thing I wish. For me, goals and bucket lists are rather the same thing. So here are some of my top goals for the next couple of years. Go to Romania. I have always wanted to visit Dracula’s castle. I write Gothic vampire novels and they all have strong ties to the area. Go scuba diving in Bali. Make a list as a Best Selling Author. I could have made this list of just places I want to travel or just things related to my writing career, but I decided to take a little bit from each aspect of my life. I think this is a completely reasonable list. What do you think? What is on your bucket list? Let me know in the comments.